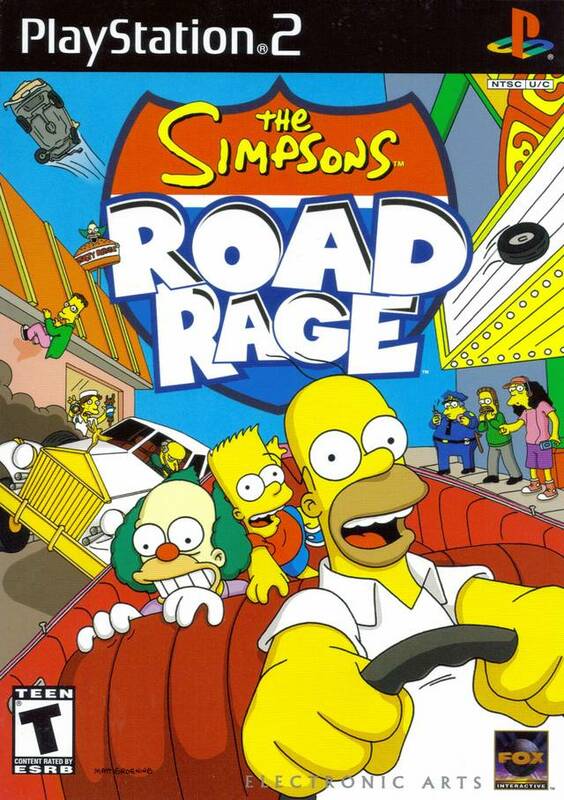 There's road rage, and then there's road rage Simpsons style! 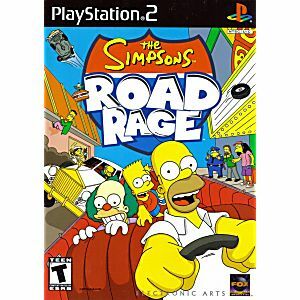 Refusing to shell out the high rates, Springfield citizens are forced into humorous Simpsons' "road rage" as they brave commuters, jam-packed back-routes and the challenge to make enough money to buy back the Transit Corporation before time runs out. 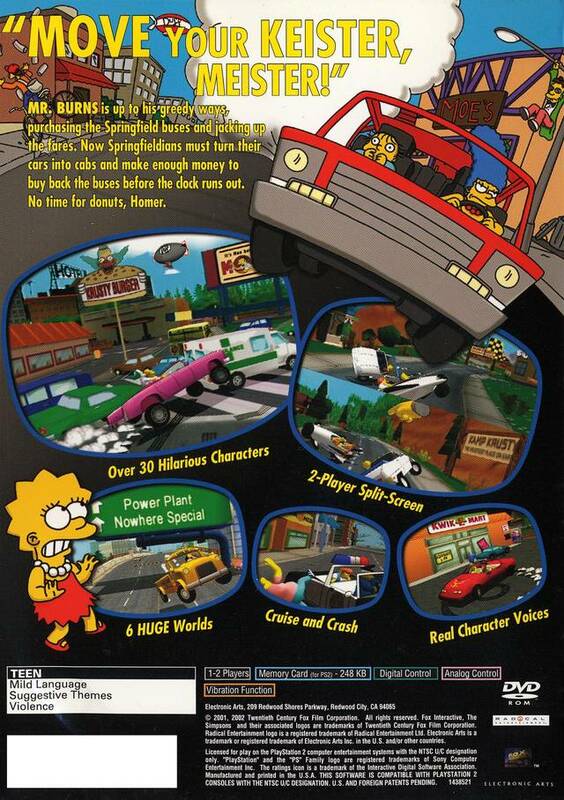 Complete up to 60 unique passenger deliveries in story mode, or take a leisurely Sunday drive through the fair Springfield. No time for donuts, Homer. The game arrived with little cosmetic wear. The game does stall at times so I have to reboot the PS2 sometimes because of that but otherwise it works good. The family are all big fans of the Simpsons so playing the game is an extension of a favourite past time. Really fun. I love this game it works perfect and the shipping was excellent thanks lukie games. Works got it quick !!! Awesome! Bring me back great memories. Work great! Always been a Simpson's fan and this is one of my favorites. Fun fast paced game with lots of chaos. Not for Sunday drivers. bought this for a relative. works fine and loves it.